"Machines are getting better, but we humans are also learning," said Kasparov after the fourth and final game on Tuesday. "Today, I know much more about computers than six years ago." For the story of the very first human versus machine chess match, see automaton chess player from the 1910 short story Moxon's Master by Ambrose Bierce. 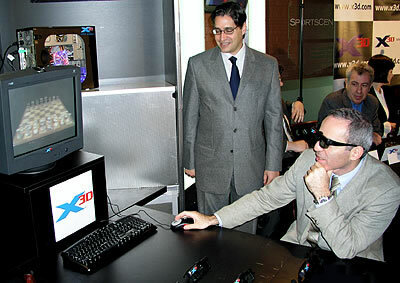 For the final story on the match read Kasparov Vs. X3D Fritz: Kasparov navigates through danger to draw game four and the match.